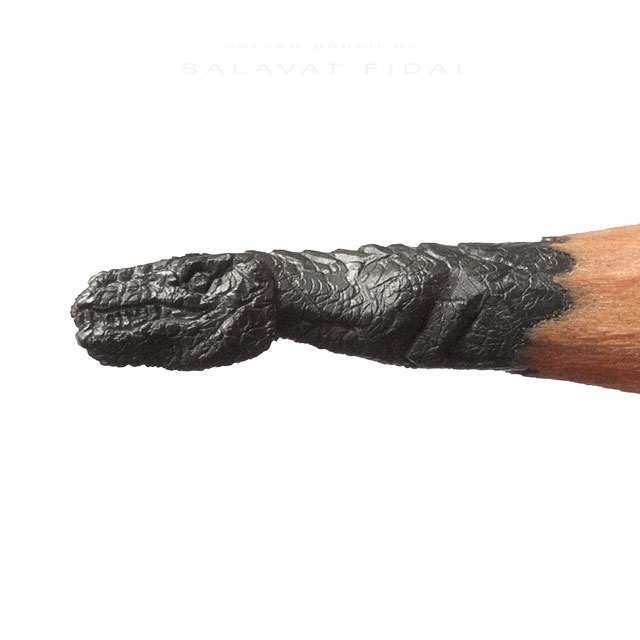 Salavat Fidai has seemingly done the impossible with his Pencil Tip Sculptures. 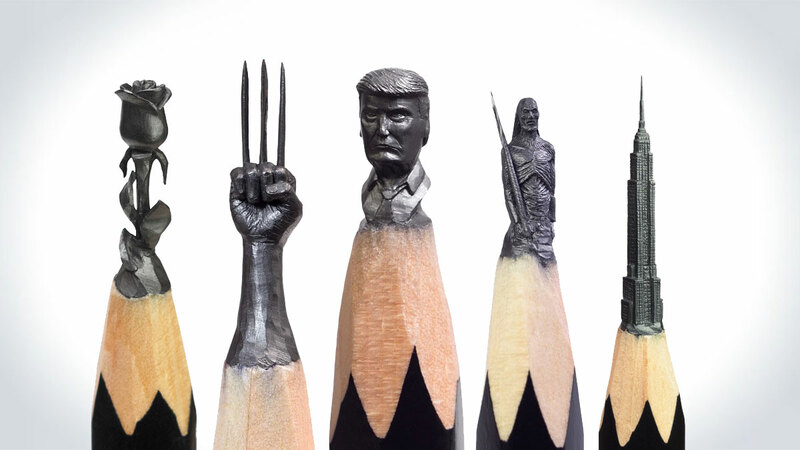 Ranging from pop culture icons from Game of Thrones and X-men to busts of Trump and Putin, these pencil tip miniatures are jaw-dropping in their detail at this millimeter scale. I don't know how Salavat does it. 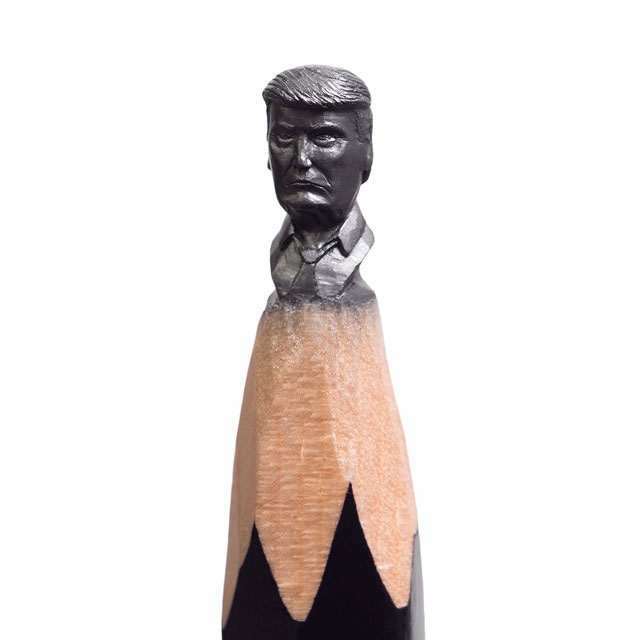 Maybe he has tiny little hands? 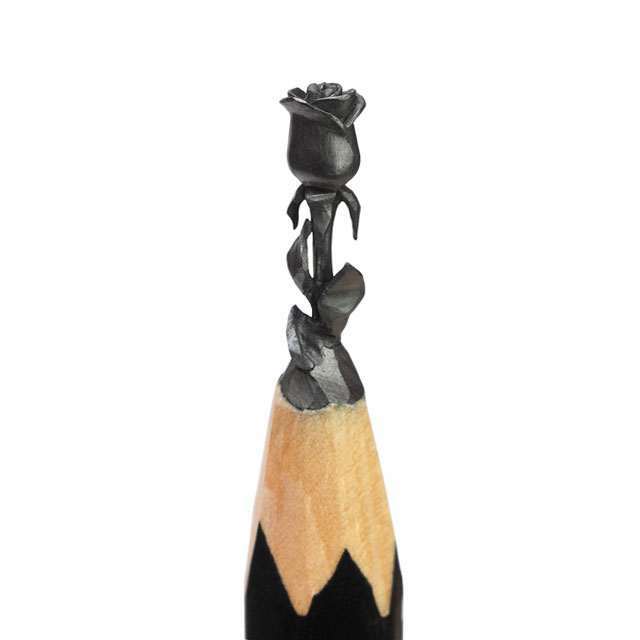 Who can carve at this tiny scale? 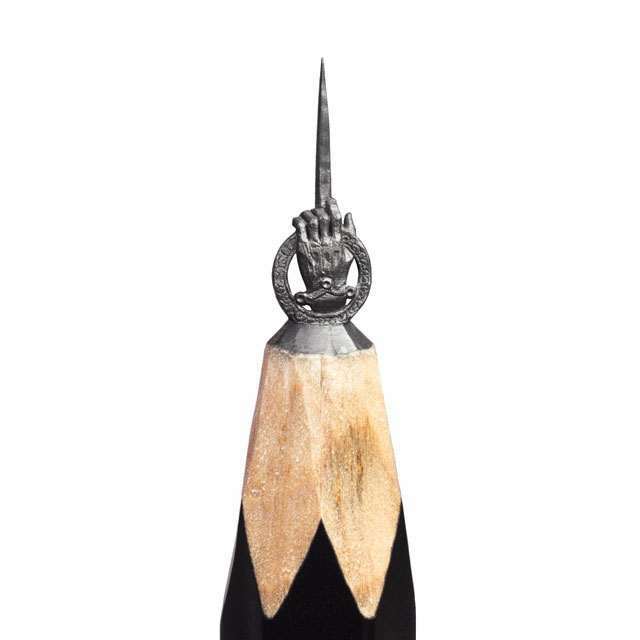 I can't even write in cursive anymore and this guy is carving pencil tips into Yoda? These aren't even those big fat pencils like I used to use in 2nd grade. These are SAT test taking approved No. 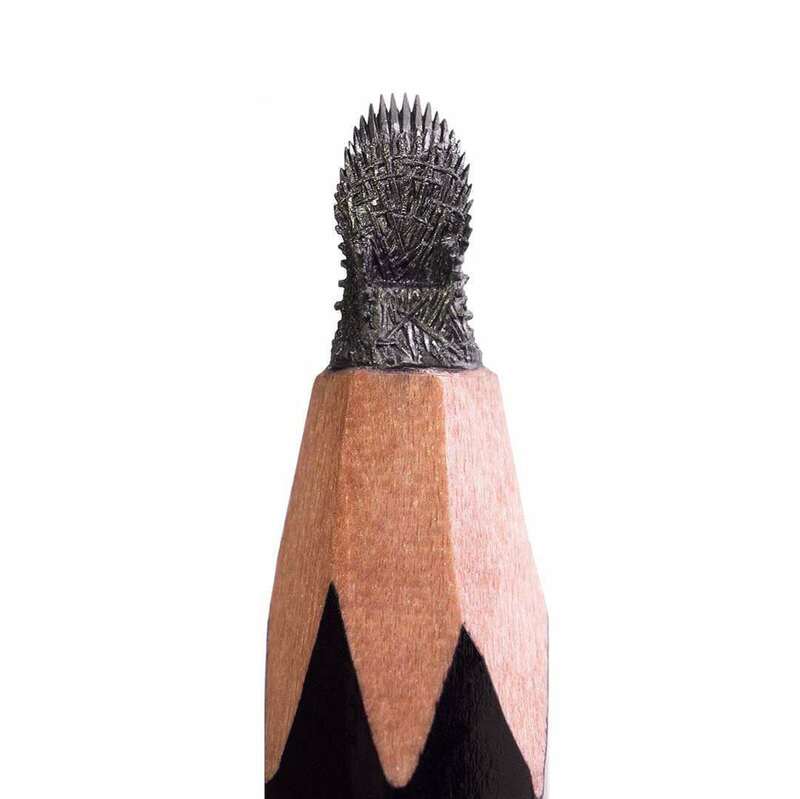 2 pencils. Turned into legitimate works of art! At least according to the price tag and my eyes, though maybe the price is influencing me. 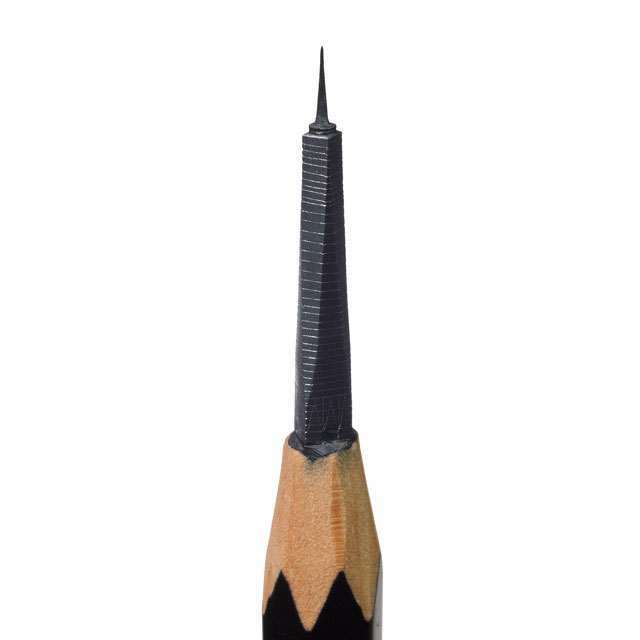 One thing is for sure, hide your sharpeners if you do decide to buy one. 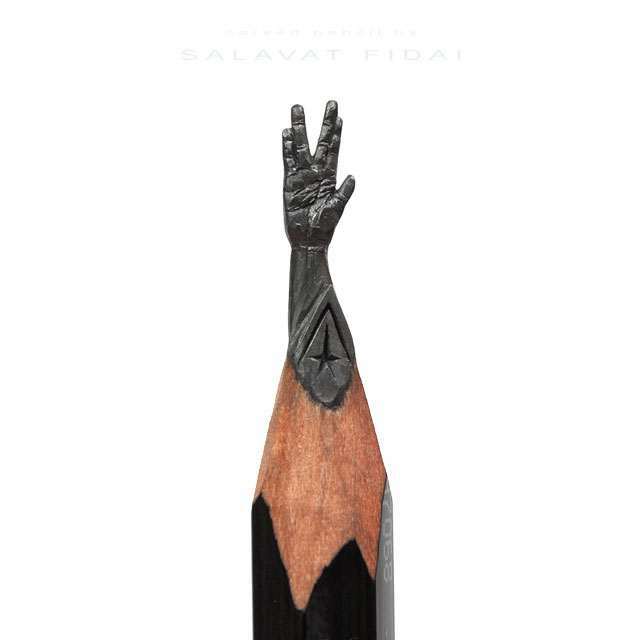 Perhaps more clues about in The Pencilbook where Salavat shares some of his professional secrets and gives some practical advice to those who want to try and learn how to create miniatures. 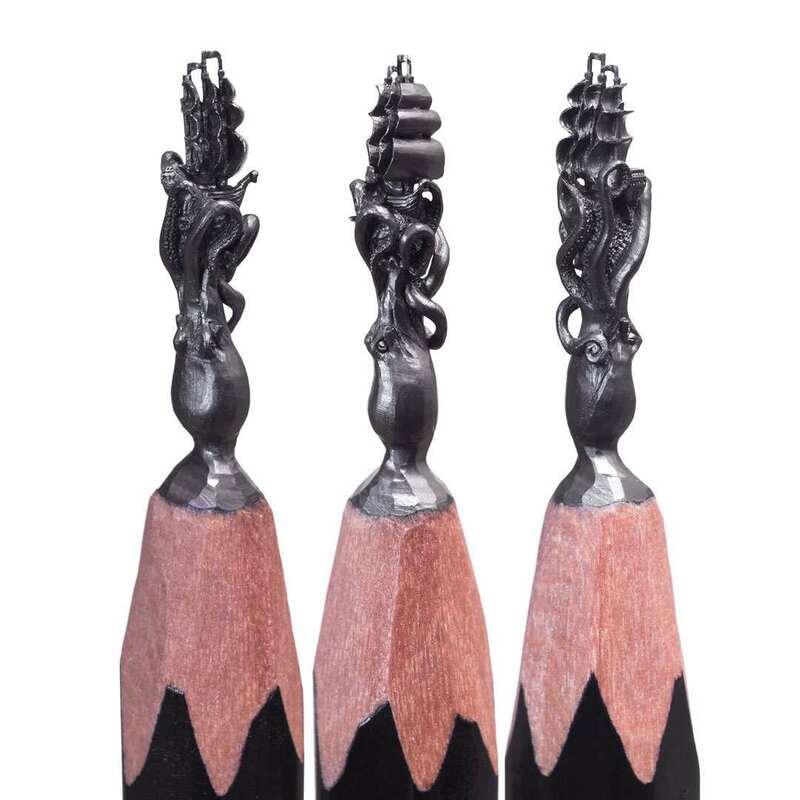 For Salavat's full catalog of Pencil Tip Sculptures, you can check out his website, but if you're looking to purchase, you can go to his shop on Etsy. 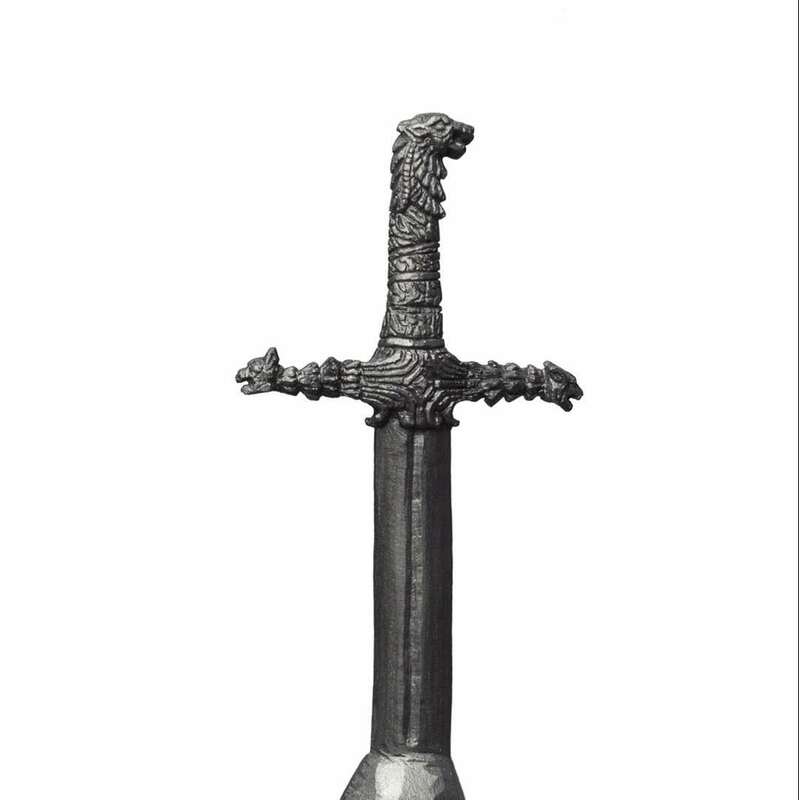 Can't find anything you love from his current inventory? You're not out of luck. Salavat takes requests. as well.